Instead of wearing a colourful band to signify which religion you’re into (remember the WWJD bracelets?) or which charity you’re supporting, why not wear a Snapz Text Band to show what a massive geek you are and prove just how much you love the interwebz. 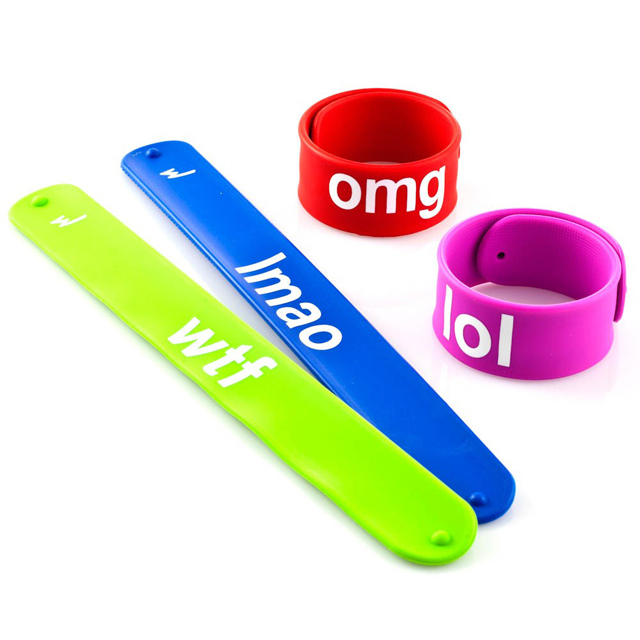 The tongue-in-cheek wristbands come in a few different styles, including our most over-used acronyms, LOL, OMG, WTF and LMAO in eye-poppingly bright colours. I’m not afraid to admit I really want an OMG, but I’m sure they’d all make ideal novelty presents for your favourite nerd. Available from Red5 for £2.95 each. Much interesting explanation presenting in to the blog for that how one can making the plastic bracelets? A blog also contains all the steps explaining with their images at their perfect time….Thanks….